The MMA world was hit with a big retirement from a legend and former UFC champion earlier this week. Now we’ve been hit with another. 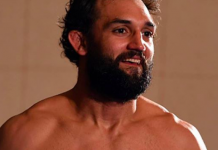 Unfortunately, the story of Johny Hendricks’ wild career may be more remembered for his rapid decline after losing his title via a controversial decision. However, what he did before that can’t be forgotten. As one of the very best wrestlers in the division’s history, Hendricks found his way into the WEC early on in his career before getting called up to the UFC. Rattling off four impressive wins in a row to start his UFC run, Rick Story would halt the momentum gained by the Oklahoma native. 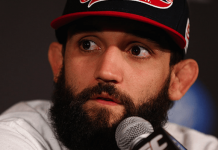 But it wouldn’t stop Hendricks from pursuing and reaching his ultimate goal. After six straight wins, two of which included were perhaps two of the most insane one-punch punch knockouts ever seen in the history of the sport, Hendricks had earned his title shot against the king of welterweights, Georges St-Pierre. 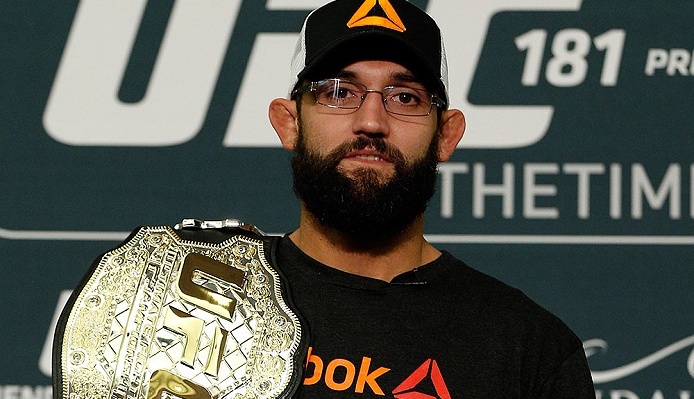 Hendricks would give the Canadian the toughest fight of his career and earn what he and many others in the MMA community believed was the win. Of course, the judges saw things differently as St-Pierre got the nod via split decision. After this fight, St-Pierre would retire thus resulting in the title being vacated. This gave Hendricks a rightful second opportunity and standing in his way was the hungry veteran, Robbie Lawler. The two put on one of the greatest fights in the division’s history and with it all coming down to the fifth and final round, Hendricks would capitalize and pull out the unanimous decision win. “I’m done. 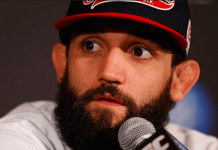 I’m retiring…getting out of the MMA world.” Hendricks said on MMAJunkie radio today, “I’ve been thinkin’ about this long and hard for a while and I’m gonna get back to my roots. I’m gonna start coaching at All Saints. I’ve coached a little of high school last year at Oakridge but I’m making a move over to All Saints, start coaching there and start doing those kinds of things. I know that I’m the one that has to do it…but do we want to do this? Do we want to go to the grind that I used to do? Be gone for long periods of time, put my family second and do those kinds of things and right now I can’t say that. After becoming champion, Hendricks would close out his career going 2-6 with controversial decisions and weight issues along the way. Much has been made about Hendrick’s fateful slide, but not enough is made about his rise to the top and how impressive it truly was to see unfold.